Now you can get pre-loaded credit cards from Visa which are easy to use, accepted everywhere and look just like regular credit or debit cards. 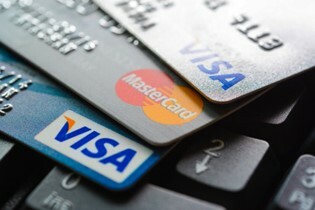 Here is more on Visa prepaid cards. A wide range can be ordered from banks, vendors and even the internet. Prepaid cards can either be reloadable or non-reloadable. The reloadable card allows you to add money to the card any time you want. The Visa Prepaid General Purpose card gives ordinary people the ability to own a Visa card. It’s made specifically for people who wouldn’t normally be able to own a credit card. They can use it to pay bills, shop, draw cash and even send money to their family, and do it using the convenience of a Visa credit card. With the Visa Prepaid Travel card, you can load funds in the currency of your destination country and also manage these funds online. The biggest advantage of having this card is that by preloading with foreign funds, you protect yourself against changing currency rates while travelling. The travel cards also save you from taking big amounts of money with you. Plus it also helps you budget by limiting your spending while on holiday. The Visa Prepaid Virtual card is for people who like to shop online or over the telephone. This card helps you limit the risks of online shopping because you can only lose the balance on the card. Younger people also use it who are not able to own a credit card yet for purchasing goods online. The Visa Prepaid Youth card is used by many parents to give their children pocket money and monitor their children’s spending. This card helps teach your children how to manage and spend their money independently of you. Plus it also teaches them to spend within their means and gives you a safer alternative to cash when travelling overseas. The Visa Prepaid gift card is a convenient way to say thank you, and if you need to buy a gift in a specific price range. You can also use it for birthdays, weddings or any special occasion. Smart business owners are using Visa Prepaid cards to pay non-permanent staff members. They load their entire payroll onto hundreds of prepaid cards and save themselves money, plus the many hours it takes to process the payroll. Employees also enjoy how easy it is to draw wages with their Visa prepaid card. You can also use prepaid cards for company competitions or as a way of giving discounts or as gifts for staff, customers or anyone you want to say thank you too.